I totally agree! 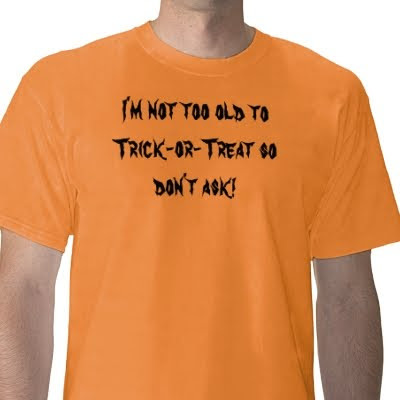 I trick-or-treated for the last time when I was 15. I went with my best friend's older brother who was 17 and a friend of mine who was also 15. We were super good kids and I did not feel too old to be out there at all. We got a lot of comments that year and we never went out again, even though we were totally harmless and felt like kids. Also? I married that 17 year old boy. YES. And then there are the fifth-graders who are taller than we are. I say, treat them!